Unless you’ve spent time in northern Croatia, it’s probably not really on your radar. Sure, everyone knows by now that Croatia in general is a great destination, and that Dubrovnik is stunning (and not on the euro, so generally a good buy). But when was the last time Istria came up in casual conversation? I’ve already talked about how to plan a day or two of roadtripping through the hill towns of northern Croatia. 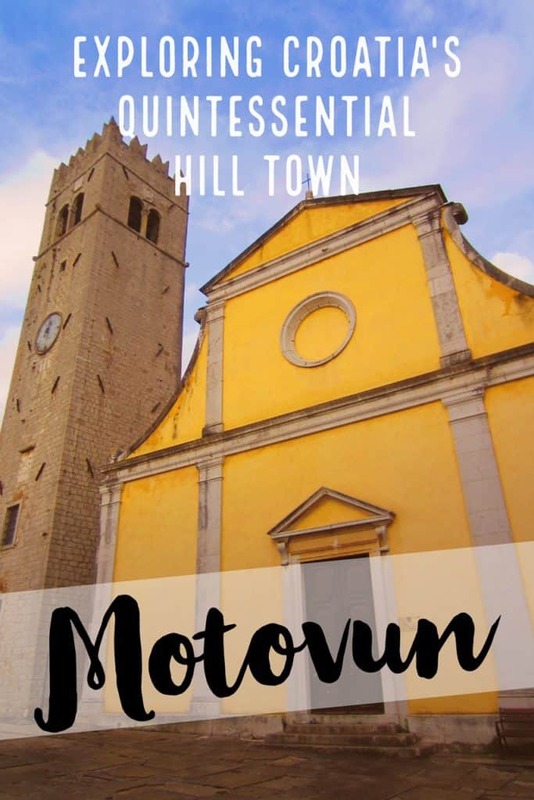 But Motovun (moh-toh-voon) is so great that it deserves an extra dose of love—tips on what to eat, what to do, and how to spend your time in this charming medieval hill town. Motovun is a tiny fortified village perched atop a hill, visible for miles and overlooking the Mirna River. It’s located in the Istrian Peninsula in northern Croatia, an area often overlooked for Dubrovnik and the more flashy southern half of the country. 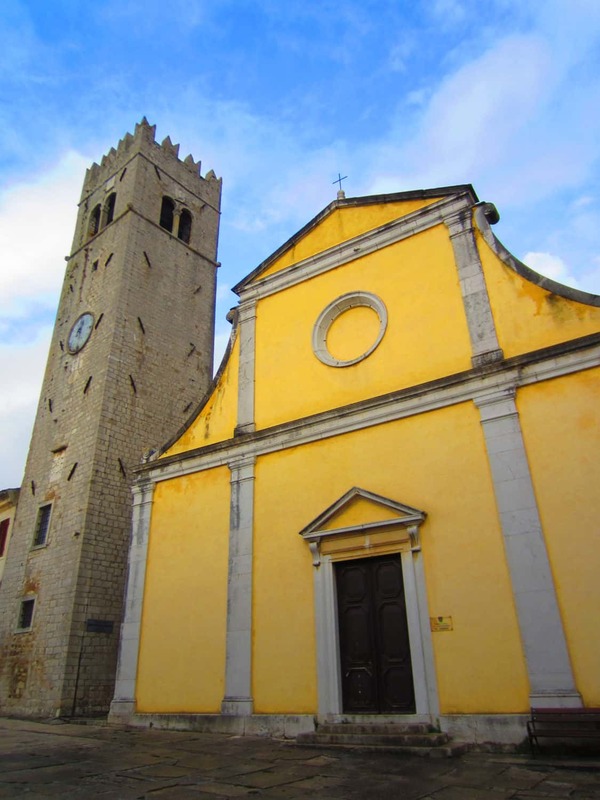 Istria has been owned by many different countries and cultures over the years, and while very Croatian, has a distinctly Italian flair about it. One of my favorite things about wandering around this country is that Italian is a fairly prevalent language due to both proximity and history (they were ruled by the Venetians for a long time), so I’m able to communicate some with folks—particularly older people. Motovun is a must-see part of any Istrian hill town trip. Cars are generally not allowed in Motovun (there are exceptions, so do some research if this concerns you), so you’ll need to pay a few kuna to park at the bottom of the hill and walk up. It’s a pretty steep, cobblestone-y walk (make sure to wear comfy shoes), but a beautiful one nonetheless. Then you’ll approach the old fortified town wall and gate. 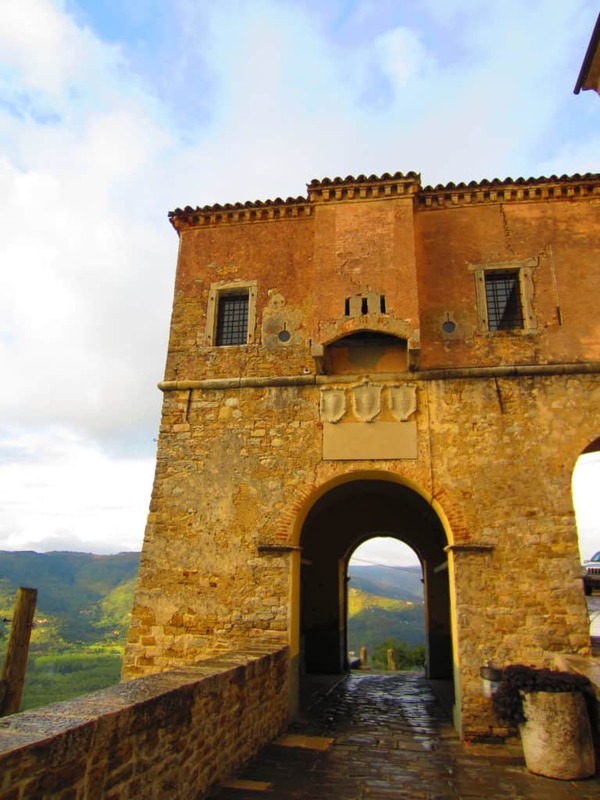 The old city walls are a huge part of Motovun’s attraction, and you should take plenty of time just walking all around and taking in the view from all angles. 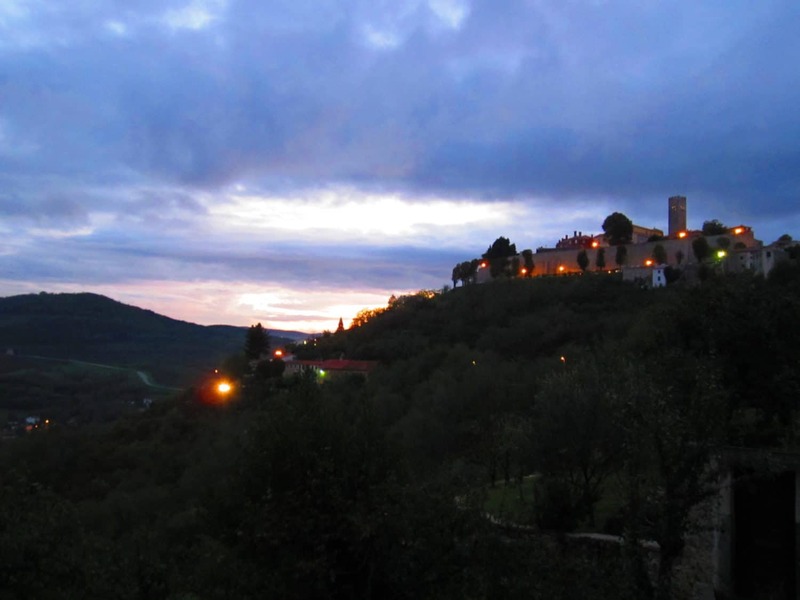 This is one of the areas where Motovun outshines its other hill town siblings in Istria, so take your time here. Both times I was there it was a little overcast and foggy, but the sun and blue skies did peek out a few times to deepen the colors so we could grab some great pictures. Swing back by the walls later before you leave, since the colors are constantly shifting as the clouds float by. Yes, the views from the town walls are a huge draw, but the narrow streets and alleys of Motovun have a ton to offer as well. 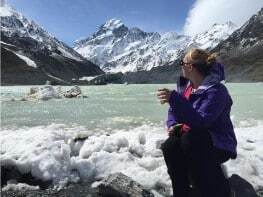 Walk up and down, pick up a souvenir, accept a sample of the local liqueur. 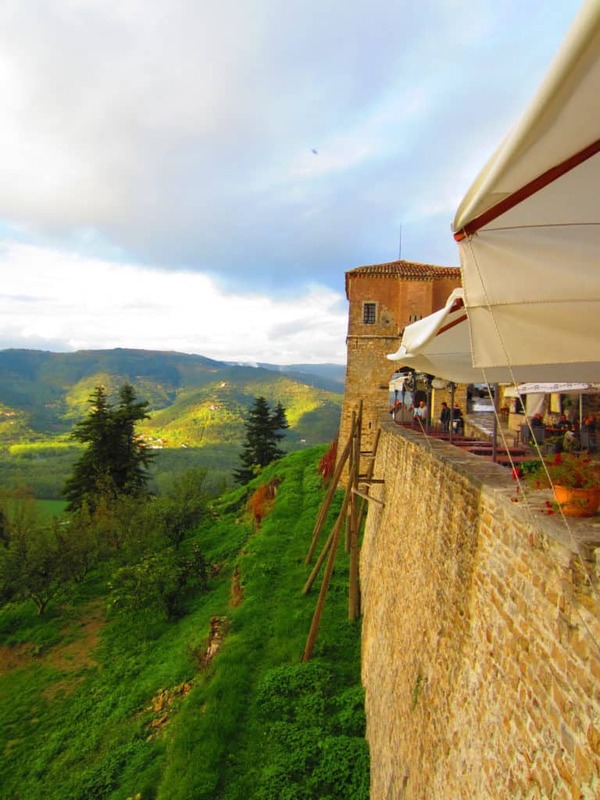 It’s hard to go wrong when eating in Istria, and Motovun is packed with delicious restaurants. This is my favorite…and the worst part is I have NO idea what the restaurant’s name is. It’s located either within the main wall or an inner wall, if you look to your side as you walk through the arch, you’ll see the door and steps down. It’s driving me nuts that I can’t figure out the name, and I’ll keep searching…but until then, if you look at these pics you’ll recognize it! 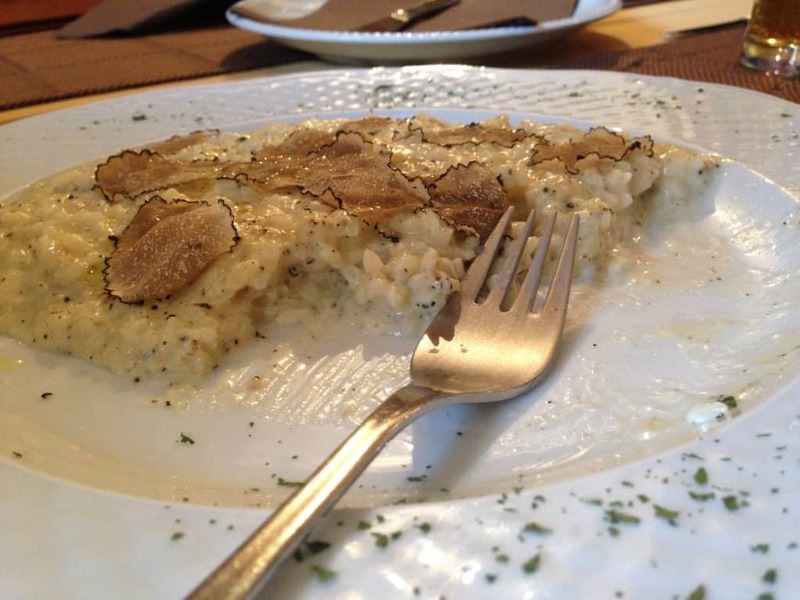 Istria is known for its truffles, and the heady, earthy flavors of black truffle (and sometimes the rarer white) can be found on almost every menu. On top of the abundance of truffles, the olive oil from this area is some of the most flavorful I’ve had, and Istria has arguably as much to brag about in pastas, cheese, honey, and other delicacies as its Tuscan neighbor to the west. Don’t forget to get a glass (or two) of the local Istrian wine. Malvasia is a fruity and floral white, while Teran is a robust and more acidic than normal red. 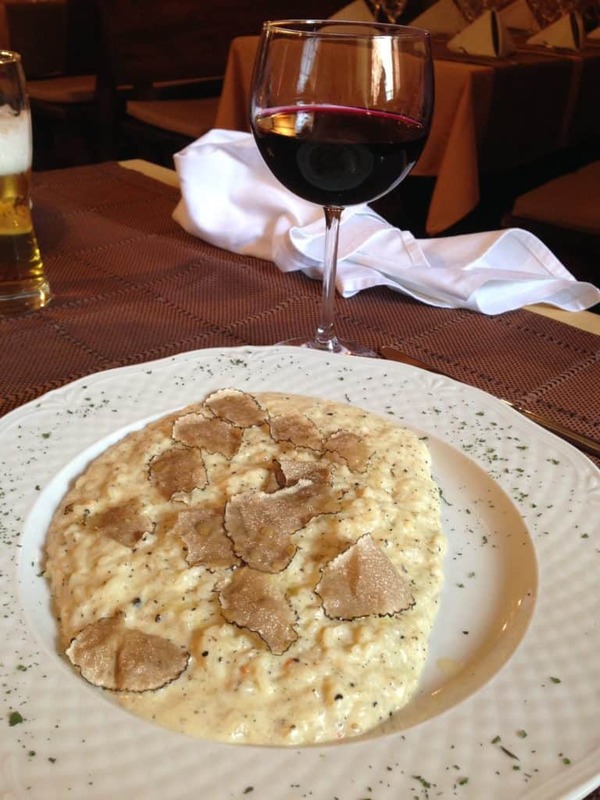 We had glasses of the house Teran with our black truffle risotto both times I visited. 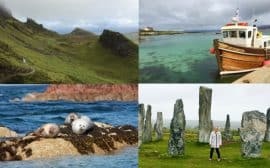 When you’re spending a day or two touring the hill towns, it’s tempting to see how many different ones you can fit in…and end up just kind of ticking boxes and rushing through everything. In some towns that may make sense, but Motovun demands some extra time just to chill. 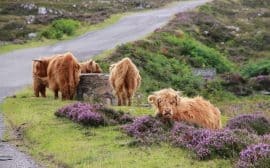 Mosey up and down the wall, then sit down and have a drink overlooking the lush hills and valleys. I recommend setting aside an hour just to pretend like you live here. It’s no longer an unknown gem, so it can get crowded. Spring and fall might be less packed than summer (if you have flexibility in planning your trip). Plan to spend at least an hour wandering around the town (apart from time for eating, shopping, etc.). You can’t take your car into the city, so you’ll need to park somewhere toward the bottom of the hill and walk up—wear appropriate shoes! I believe there may be a shuttle bus too, but I’ve never taken it. Visit the restaurant tucked into the old city wall, just as you’re walking in. It’s amazing. If you have the time and feel comfortable navigating back at night, Motovun is gorgeous at sunset, and less crowded as well. Or, feel free to spend a night here to see the town empty of the daytrippers. Motovun is known for their film festival every July, so be aware of that if you’re planning your trip (it will definitely be crowded around that time). 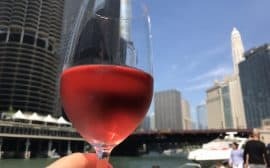 You know what pairs well with Croatia?? Slovenia! Here’s how to add a 3-day Slovenia trip to your itinerary! What would you spend an hour in Motovun doing? Let me know in the comments!